This set having 6 unique and essential brushes. Made with natural hair. This brush set is compact and easy to carry in purse while travelling or out from your home. Made with natural hair which is ideal for correct pick-up and blending of the powder. This sponge brush can be used for applying colors on eye shadow. Use separate sponge for a different color. This brush has been designed for the even spreading and blending of eye shadow. Always use a separate brush for each color. Vega lip filler is an ideal accompaniment to lip sticks and lip colors. It is perfect for detailing along the lips and applying the color evenly and consistently. 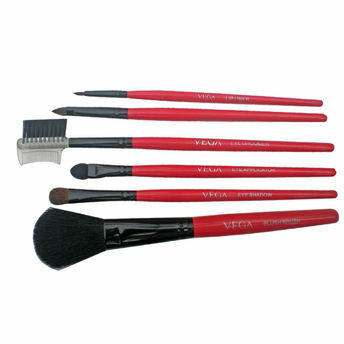 This brush is ideal for defining the outer lip lines, VEGA Lip Liners are carefully crafted to enhance the beauty of the lips. Brush the eye lashes up and outwards to create a neat shape. Use comb to comb the eyebrows or to separate your lashes after applying mascara. Explore the entire range of Brush Sets available on Nykaa. 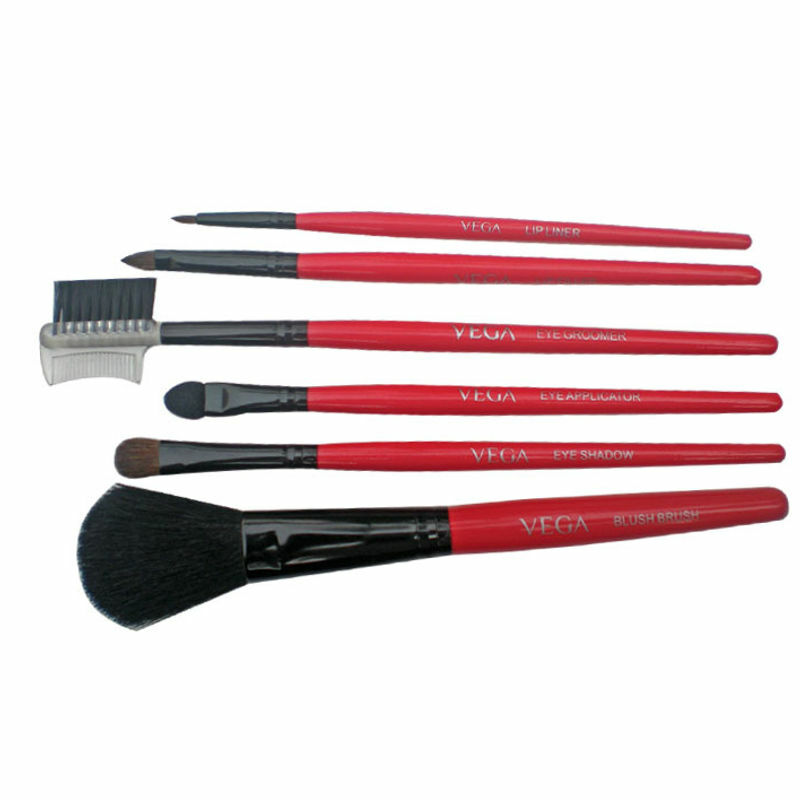 Shop more Vega products here.You can browse through the complete world of Vega Brush Sets .